Covering all the major hotspot of the cities of Golden Triangle and pairing it with the cities of Kerala which is also known as “Gods own Country”, this trip is going to be one of the most exhilarating trips of your life. 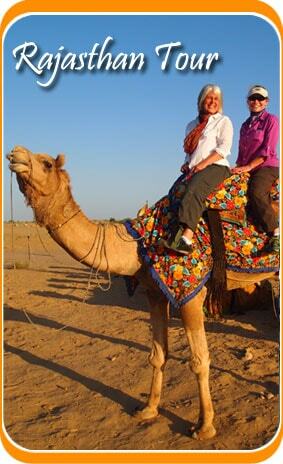 With this trip you'll be travelling in almost whole of India from North to south. Come and enjoy the historic and cultural background of India and the beauty of the Western Ghats. Major tourist attractions of Delhi like Jama Masjid. Forts and Palaces of Jaipur. Boat Ride in the Periyar Lake. Visit Goa and explore into its beaches. Visit the exquisite Periyar Wildlife tiger reserve. Arrive at Delhi and check into the hotel escorted by our representative. Take rest for the day. Kick-start your journey and visit the archeological wonders of the city like Jama Masjid, Red Fort, Rajghat and the Qutub Minar Group of Monuments. Also visit the major tourist attractions like Laxmi Narayan temple, Parliament House and in the evening enjoy the famous light and sound show at Red Fort. Retire into the hotel for the night. 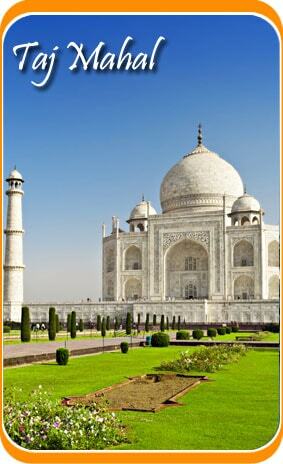 Upon your arrival at Agra by road, check in to the hotel. In the afternoon, hit the streets of Agra and visit the Taj Mahal which is made up of white marble and Pieta Dura Architectural style. Visit the red sandstone structure of Agra Fort and other complexes which the fort encompasses. Retire to the hotel for the night. On your way towards Jaipur, halt at the Ruins of the City of Fatehpur Sikri –which was deserted by the Mughals , due to shortage of water. En route, visit the Panch Mahal and other places like Salim Chisti’s Tomb. After reaching Jaipur, check into the hotel designated for you. Venture into the streets of Jaipur and explore the bazaars of the city. Do not forget to visit the hotspots of the city like Hawa Mahal famous for its Jharokhas, the Jal Mahal and the Central Museum. The bazaars (markets) of Jaipur are famous for Rajasthani Clothes and handicrafts. Later at night, retire to the hotel. Arrive at the Jaipur Airport and board a flight to Goa. As you reach to Goa, check in to the hotel escorted by our representative. Take rest at the hotel for the night. Old Goa is famous for its church and cathedrals. With a guided tour to Old Goa you'll witness the Portuguese culture at its best. Visit major attractions like, Margao city, Colva beach, Vasco city, and Mormugao harbor. Visit the Panaji city and the Miramar beach and Dona Paula. In the evening return to your hotel and take rest for the night. Explore the beguiling white sands of Goa, basking in the glory of sun at the beaches of Goa. With a day completely dedicated to this you'll be able to explore the lands of Goa and also enjoy the tasty seafood available alongside the beaches. After the breakfast, catch a flight to Cochin from Goa Airport. After arrival to Cochin, check into the hotel designated for you. Before going forth with your tour, rest at the hotel for some time. We’ll be visiting various hotspots such as the famous Mattancherry Palace, St. Francis Church and the Jewish Synagogue. Do not forget to witness the grand Chinese Fishing nets being lowered at the beautiful Vasco Da Gama Square. Watch the dance show of Kathakali which is indigenous to Kerala from trained specialized dancers. Stay overnight at Cochin. Periyar is heaven to wildlife enthusiasts. Venture into the wild by visiting the plains of Periyar and observe the wide variety of birds and animals exclusive to the place. Witness various species of exotic birds migrating to and from Periyar. The rest of the day is at leisure. Stay for the night at the hotel. With a rejuvenating and exciting boat ride at the enticingly beautiful Lake Periyar, we venture towards Kumarakom, which is a safe haven to the rubber plantations and is also known for a bird sanctuary. After a travel journey of 4 hours going alongside the shores of Lake Vembanad by road, we reach Kumarakom where you will be escorted to a resort at the banks of the back waters- famous in Kerala. Relax and bask in the scenic beauty. Stay at the resort for the night. Visit the Kumarakom Bird Sanctuary, after a light breakfast. Enjoy the adventurous water sport activites available on direct payment. Enjoy the beach and stay overnight at the hotel. Our tour starts a little early today. After breakfast, proceed towards Alleppey road. After reaching Alleppey, check in to the houseboat and voyage along the famous backwaters of Aleppey and enjoy the scenic beauty. In this, floating resort, witness the sun going down in the river. Stay overnight at this villa. On this day, we move towards Kovalam and upon arrival check in to the designated hotel for you. Go venture into the Kovalam beach throughout the day. Stay overnight at the hotel. Enjoy the delicious seafood of the Kovalam beach and dedicate your day to explore every nook and corner of this giant beach and bask in the beauty and serenity of Mother Nature. Return to the hotel for overnight stay. After a light breakfast, check out of the hotel and drive to Trivandrum airport. Catch a flight to Delhi. Check in to the hotel and stay for the night. Book a flight from Delhi to your home country. Your journey ends here.